#82: Novel Developments | mark Joseph "young"
This is mark Joseph “young” blog entry #82, on the subject of Novel Developments. With permission of Valdron Inc I am publishing my second novel, Old Verses New, in serialized form on the web (that link will take you to the table of contents). If you missed the first one, you can find the table of contents for it at Verse Three, Chapter One: The First Multiverser Novel. There was also a series of web log posts looking at the writing process, the decisions and choices that delivered the final product; the last of those for the first novel is #71: Footnotes on Verse Three, Chapter One, which indexes all the others and catches a lot of material from an earlier collection of behind-the-writings reflections that had been misplaced for a decade. Now as the second is being posted I am again offering a set of “behind the writings” insights. This “behind the writings” look definitely contains spoilers, and perhaps in a more serious way than the previous ones, because it sometimes talks about what I was planning to do later in the book or how this book connects to events yet to come in the third (For Better or Verse). You might want to read the referenced chapters before reading this look at them, or even put off reading these insights until the book has finished. Links below (the section headings) will take you to the specific individual chapters being discussed, and there are (or will soon be) links on those pages to bring you back hopefully to the same point here. #78: Novel Fears (which continued with coverage of chapters 10 through 18). I hadn’t really thought about how Lauren would be involved in bringing Arthur to power; these things sort of developed through asking myself what I would do. 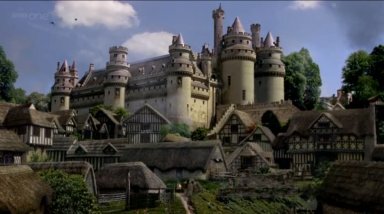 Sometime before I began writing the second novel, I knew that Horta and Jackson were both going to kill Lauren at different times–Horta in her Merlin visit, Jackson in the Bethany visit. I’m not certain when it came to me, but it seemed the route to take. It also gave meaning to their reluctance to trust her in 2005. I don’t think I’d realized when Evan was shot that Kondor would become the doctor; but the idea worked. It may seem odd that Joe argues against his own promotion, but ultimately he is really out of place in this world and there are still a lot of things he does not know about how to do medicine on the ship. I wanted to have to persuade him, because he’s aware of his own shortcomings in that regard, but he really is the best man for the job. I think that the mention of the lack of a watch that kept time on a ship reminded me, first, that Joe had that travel clock that should run adequately well on the ship, and, second, that such a clock, set to the standard time in Sardic, would be an incredible navigational aid. I did not at this point know I was headed that direction, but the clock was going to get me there. The floor plan in this house owes something to that of my parents’ house in Ramsey; but it has a very different feel in several places. It’s a bit distorted, too, but I didn’t expect the reader would sense that–or if he did, it would add to the eeriness of it all. Derek starts upstairs in a left rear bedroom; but there are only windows in the back, so there’s probably another room beyond that. In addition, the hall continues past that room, again suggesting at least one more. He makes a left, putting the rear of the house on his left, and walks straight down the hall. There is another door before he reaches the stairs, and I envision at least one on his right. But, rather incongruously, the stairs seem to continue straight in front of him. Yet when he falls down them, he rolls straight toward the front of the house–somewhere he’s made a right turn, yet the hall was always straight. He lands on what I envision as a flagstone front hall, he notices a lightswitch but not a door. He now makes effectively a right, headed back parallel to the hall but closer to the front of the house, which is now on his left. This carries him through the living room, which is open to the hall, and then through the arch into the dining room, which is in the left rear corner of the building–but again, has no windows to the side. My parents’ house is so designed downstairs, but that the front hall is enclosed and the door quite obvious. Derek seems to have traveled farther upstairs than down, but he is clearly at the end of the house downstairs, when he seemingly was not when upstairs. Again, it is the layout of the kitchen and dining room from their house: the table is beneath the hanging light fixture, a picture window on the rear of the dining room, and a door to the kitchen more toward the living room. Beyond that door, the kitchen area is largely to the left, much as described, with the refrigerator to the right, and a counter extending into the center of the room to separate the dinette. At this point the model diverges, as we have reached the line of the stairs and seemingly the edge of the house. I imagine a basement stair behind a door to the right at the far end, and perhaps another door straight ahead to something else, but in the model there’s a door in the far corner across the dinette which leads to a screen porch. Derek never sees that far, but is driven back into the kitchen. Breaking up the journey into pieces let me decide things as they happened and avoid bogging down with planning part of the journey that would never occur. It also allowed for more tension, as I could consider everything that could go wrong with each bit and then make the move, and then consider again, thus giving the feeling of creeping across the set. It was then time to do something with all that tension. Up to now it’s possible that it’s all in Derek’s mind, and as long as it is there, it is a mood built on uncertainty. The revelation that the ghost is real is a fright, in some ways breaking the mood by confirming our fears. Tubrok came into existence entirely because I needed a reason why Merlin had not killed Horta. A more powerful enemy seemed the best idea. Once I had thought of him, I began to get the idea for the grand conclusion of the third book. That is, I had already determined that Lauren, Bethany, Slade, Shella, and Derek were going to be together fighting something in the vampire world in the future, but now I knew what. Lauren overlooks the fact that the Horta she sees here will be more than a millennium older when she fights him in the future; she is estimating his power based on her memory of a greatly strengthened future version of him. Thus Merlin is not so worried as she is. Tubrok’s strategy came largely from extrapolation from Gavin’s, figuring out what a vampire might try to do to further his own ends in that milieu. I later saw something similar in the television series Being Human, but that was years after I wrote this and it wasn’t quite the same. There is a sense in which Lauren has created a predestination paradox by mentioning the sword in the stone: she has brought from the future an idea that she got from history. However, we know that she is not from this universe, so it’s not really a problem—we just need to figure out how such a story came into existence in her world, and since we know the story exists we know it can come into existence without the suggestion from the future. What Merlin teaches Lauren here is something we learned to call SEP invisibility. It stands for “Somebody Else’s Problem”, and is a sort of psionic trick that doesn’t make you invisible but puts you beneath the level of notice—the way you walk around people on the sidewalk without really seeing them. Lauren and Merlin do not vanish, but they pass unnoticed because they’ve persuaded the minds around them that they’re not important, not worth noticing. I back-wrote that teaching moment after the book was finished, because I needed Lauren to have that skill when she arrived in the final world of the book. I added her using it several times in earlier chapters to get it there, this being the first. The problem about leaving Doctor Evan in Durnmist had two levels. One was that I needed to figure out what job Kondor would do on the next route, and I didn’t really see continuing the Kondor as Doctor bit too much longer; the other was I needed a plausible reason to keep Evan on the ship if Kondor wasn’t going to be the doctor. I hadn’t considered what would happen when Kondor got to New Haven; but I thought I’d get things pointed in the right direction for that. Joe knows the route from having worked the other Mary Piper. Captain John would assume he just found out from being aboard the ship. I had no idea how Derek was going to die in this world; but once the battle got fierce, it was just a matter of playing both sides and seeing what I could cause to happen. The bit with the glass shards is I think a wonderful poltergeist effect. They should be falling with him, landing around him. Instead, they pause in the air high above him, and then target him in rapid flight as projectiles. I don’t know whether it comes across, but I didn’t want to be too technical about it. The argument about vampires led logically to one of those most difficult questions: how can you prove that something does not exist? I particularly like the notion that these magical creatures could exist unknown to her. I think most people take too much on faith, and don’t realize they’re doing it. The issue of whether Lauren can use magic to do what she thinks God wants done is a difficult one altogether, and worth bringing up again. Merlin’s answers are useful; they make it easier to build a diversified sorceress who is yet something of a prophetess, because there’s no conflict between the magics she uses and the mission she pursues. The answer to the problem seemed to lie in whether there was a difference in kind between doing what you think God wants done and doing it by magic, or whether that was only a difference in style. I think this conversation, although it didn’t fully convince Lauren, fully convinced most readers. The idea that criminal accusations had to be made in the king’s courtyard at noon was something that easily sounded right and made it impossible for vampires to make use of the legal system. I liked it. Oddly, I turned the loop around in my mind when I wrote this. I somehow envision the ship going east through the northern latitudes at the beginning of the route and then returning west closer to the equator. The fact is that the major currents do exactly the opposite, going west near the poles and east near the equator, and they do so precisely because of the direction of rotation of the planet. The only way I could maintain my circle and have it fit with known laws would be to put the major settlements in the southern hemisphere–one too many things to try to explain to the reader. Thus this passage is always jarring to me, because I expect Kondor to be going east and he claims to be going west. I might have included the clock bit because my wife is related to the Harrison clockmakers of England, and that might include the John Harrison who solved the longitude problem by building a clock that kept time at sea. I saw the special on A&E, but now can’t remember whether I’d come up with the idea before that (based probably on some of James Burke’s shows) or because of it. The GSPS thing was a throwaway. Not having Bob Slade in this book, I didn’t have the usual anachronistic comments he makes, but Joe sometimes made them as well, so I let him make one here. I think I was using the game mechanics from the Mary Piper world again to generate events; sea monster is such an event, and dropping a sea serpent into the story here was a fun idea. E. R. Jones had run a world for my eldest when he was first playing in which there was a castle in the midst of a swamp, the castle inhabited by what was not so obviously a vampire and his mildly deformed idiot servant. This world was inspired by that, but all the detail was invented. I did a lot of camping in my teens, but by the time I was in my twenties I’d had enough of “roughing it” and have not done any tenting since, although I once went to a festival in a pop-up camper. The mosquito was, I think, prefiguring the real villain of the world. I mentioned the need for a larger pack, but had not yet solved it. When I introduced the characters in the next world, I created Bill specifically to be the source of the backpack. The block was originally a wall; but the wall bothered me. It couldn’t really look big enough to be mistaken for a cliff and be far enough to take that long to reach. I changed it on my read through from wall to block, hoping that would work better. Previous Post#81: The Grandfather Paradox ProblemNext Post#83: Help! I’m a Lesbian Trapped in a Man’s Body!